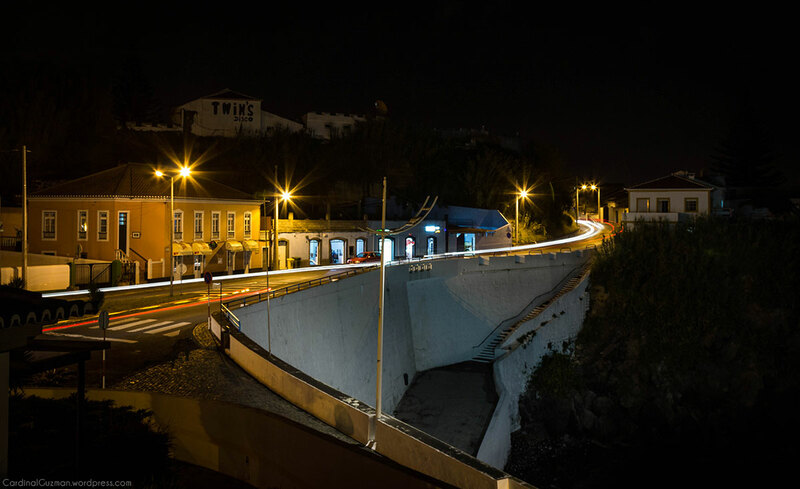 Enjoy these night shots from the Açores. Some remakes, some new. 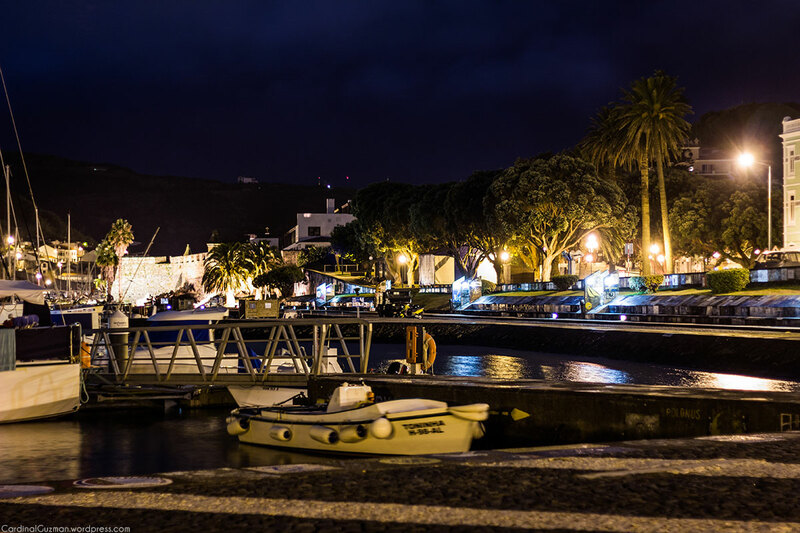 Night photography in the Azorean Islands of Portugal. 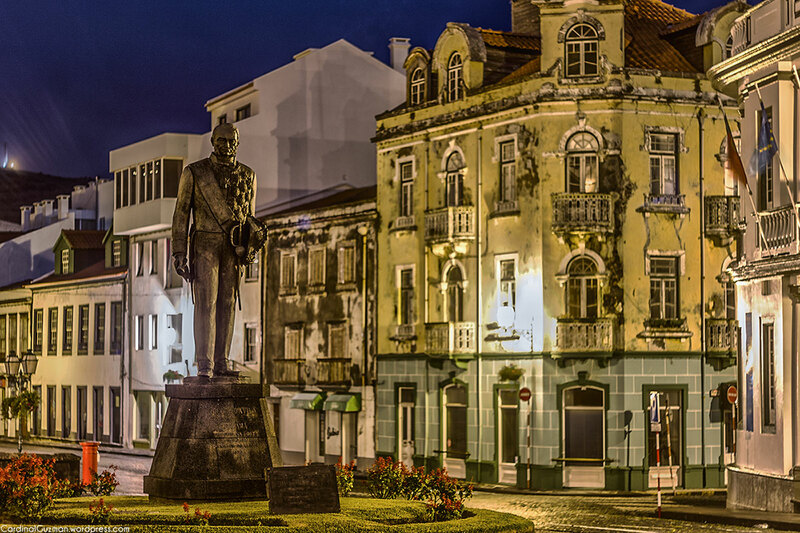 Night photography of a statue in the rainy streets of Horta, Faial Island, Açores, Portugal. One night while I was exploring the streets of Horta, I came across this statue and took 3 bracketed shots with my Canon EOS600D (EF50mm f/1.8 II lens) at f/1.8, ISO 100. Now, three years later, I finally sat down and processed the images. It took me a while, but I like the results so it was worth the wait. I decided to make two versions, in the second one I added a small touch of blur and darkened a few parts. If you look at the walls, you can see how the forces of nature has been wearing and tearing on these buildings during the years. Here are both the photos in a gallery, which version do you prefer? Night photography of a statue in the rainy streets of Horta. Version 2 of Night photography of a statue in the rainy streets of Horta. The photos in the following gallery were shot in the area near Terminal Maritimo in Horta, Faial Island, Açores, Portugal. I’ve posted many of these before, but I’ve re-edited the photos in this gallery. Nights – my favorite time of photographing. I love long exposures. 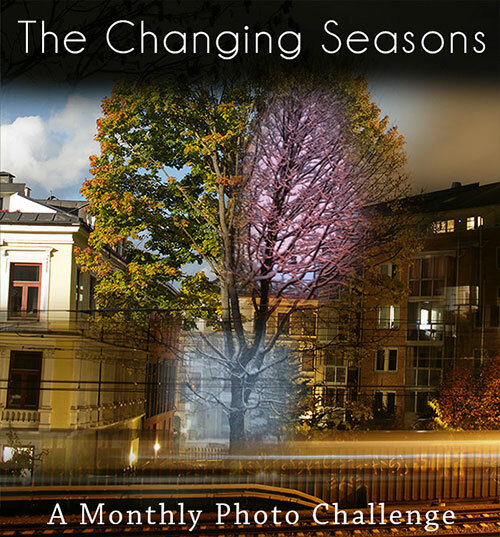 Tonight I’m sharing this night photo for Paula’s Thursday Challenge. Night photo: Açores, Terceira, Portugal. I shot this one (technically speaking it’s these four shots) in Terceira, Açores. Angra do Heroísmo, locally referred to as Angra, is a municipality and city on the island of Terceira, within the Portuguese autonomous region of the Azores. 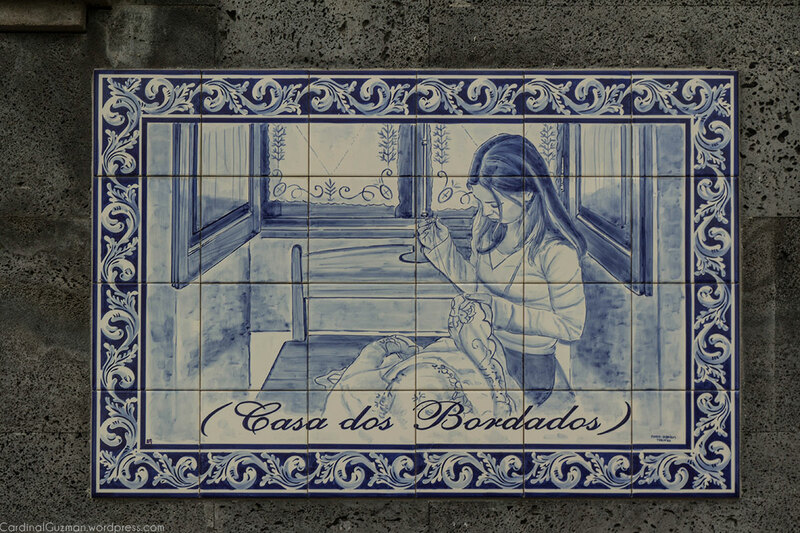 Horta, Portugal: A couple of years ago we went to visit the Azorean Islands of Portugal.